Happy 100th birthday to our national parks! 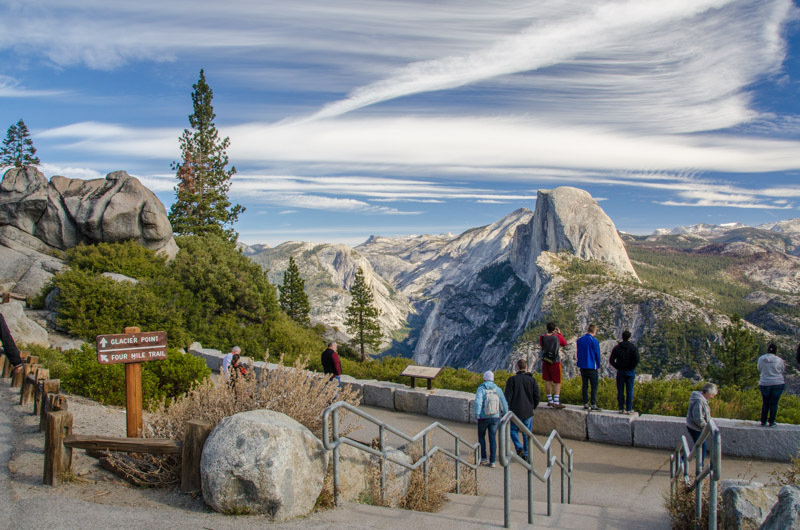 This year marks the centennial celebration of the U.S. National Park Service and there are special events, tours, and celebrations at all the parks all year. Now is a great time to plan your next national park adventure! To celebrate this milestone birthday, National Geographic has released two beautiful new guidebooks that are perfect for travel planning and inspiration. They offered to give a set away to one lucky EIT reader so read down to the bottom to find out how you can win! The first is the newly updated Guide to National Parks of the United States, 8th Edition ($29.95). Since it was first published back in 1989, this bestselling book has sold more than 1.25 million copies. For this latest edition, the contributors visited all 59 national parks to update the content and pick the best spots for viewing scenery, wildlife, sunsets and more. The guide includes 80 full-color maps, more than 220 photos, and tons of practical information for what to see and what to do in each park. 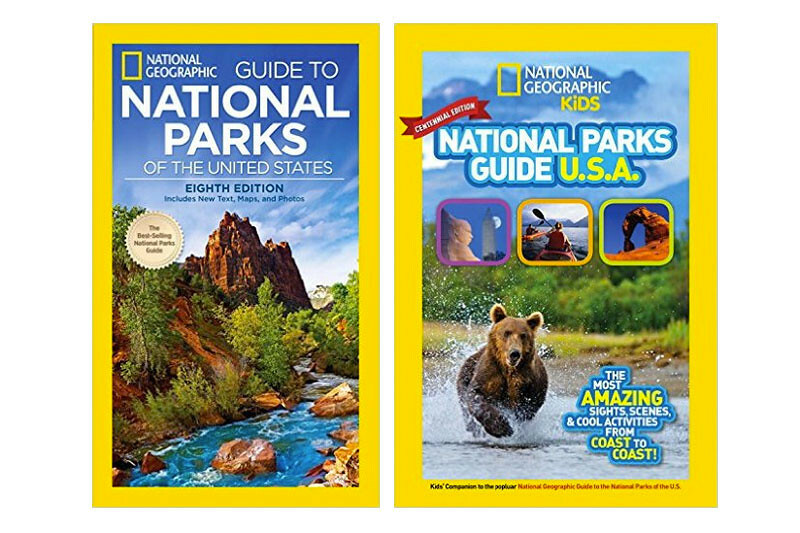 The second is the children’s companion, The National Geographic Kids National Parks Guide U.S.A. Centennial Edition (ages 8-12, $14.99). This book is the official kids guide to exploring these American treasures. The book is full of color photos, fun facts, maps, road trip tips, conservation tips and more. I flipped through it and found the full-color pages, trivia, and quirky historic stories really engaging. This would be a great gift for any young traveler. To celebrate this centennial and National Park Week (April 16-24), National Geographic offered to give a copy of each of these books away to one EIT reader (value: $44.94). Follow the directions below to join our email list and win. Best of luck — and let me know in the comments what U.S. National Parks are on your travel wish list! « Join Us in Oakland for our Next Bay Area Food Meetup: #FruitCrawl! I want to visit every one of them before I die! I love that goal–me too! I’ve actually never been to Yellowstone so it’s number one on my list. But I do have quite a few others I’d like to visit. I’ve never been to Yellowstone but Kevin has and he really wants to go back–it’s that incredible! On my short-term list, I’m hoping to go to Pinnacles NP this summer (it’s so close to us!) and get over to theChannel Islands sometime within the next year–I’m trying to figure out the best time to do that, I’d like to camp for a night but I may just settle for a day trip. All of them! 🙂 I collect the passport stamps, so definitely a real goal of mine. Id love to visit Yellowstone! There are so many that I’d like to visit, but high on my list right now are Lassen and Crater Lake. They both seem so interesting, and I think they provide a great opportunity for kids (and adults!) to learn about geology. I really would love to visit some of the National Parks out west. On the top of my wish list are the Grand Canyon, Yosemite, Zion, and Glacier National Parks. I want to go to Yellowstone! Thank you! The Grand Canyon, The Great Smoky Mountains (again), Yosemite, Yellowstone….I think a trip to any of those would be great. I would like to visit Denali National Park. Alaska is on e of my last states to visit and Denali would be the icing. Or maybe the frosting of frost. I would love to visit Yosemite and Hawaii Volcanos next. All of them! I recently bought one of the National Park passport books so I can collect the stamps at each one. Excited to fill it…especially at the ones with BIG mountains. 🙂 Thanks for this chance to win! Dreaming of Denali National Park… Rocky Mountain National Park too! I’d like to visit Yellowstone even though I’ve been there before it.s been 25 years. I would like to see the Redwood National Park. I would love to take my daughter to Yellowstone for the first time! There are also so many in Utah i’ve never been too! Thanks so very much for the chance!! I would love to see Glacier! We visited many of the western parks as children; I’d like to re-visit them, and add the rest.